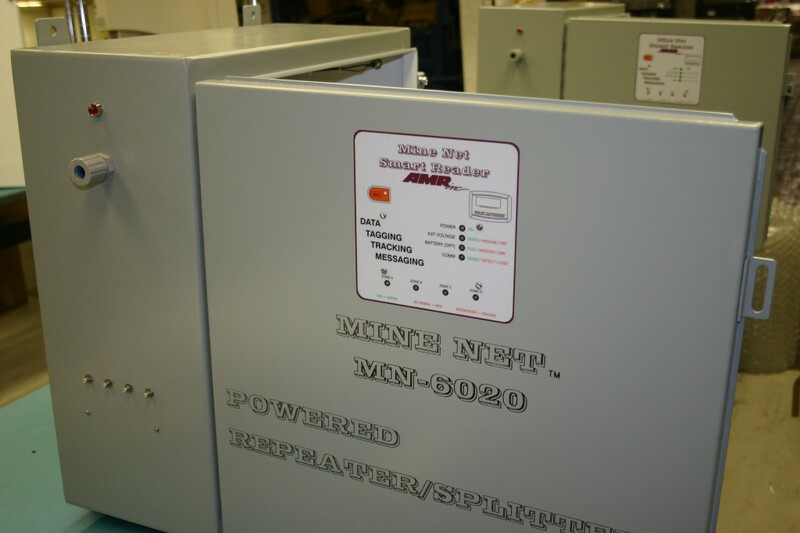 MN-6020 Powered Repeater Splitter | AMR, Inc. MN-6020 Powered Repeater Splitter | AMR, Inc. The MN-6020 provides the back bone of the Mine Net system. This unit provides intrinsically safe DC power and communications with up to three ports for the Smart Reader trunk lines. An integral Reader provides four antenna ports for tracking and Messenger communication coverage. A separate enclosure houses the batteries for 48 hours of backup power in the event of loss of AC.